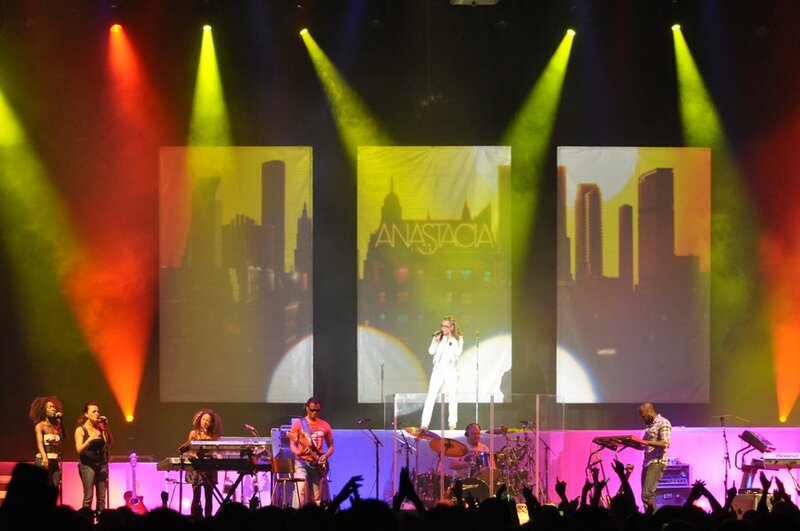 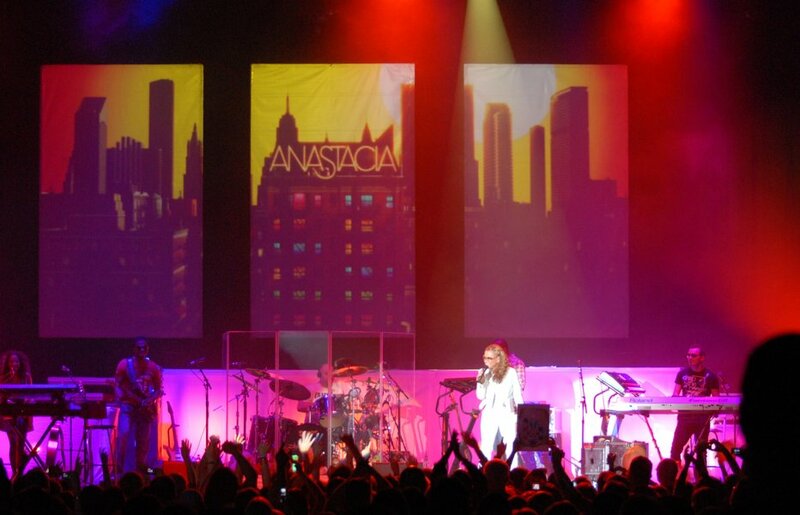 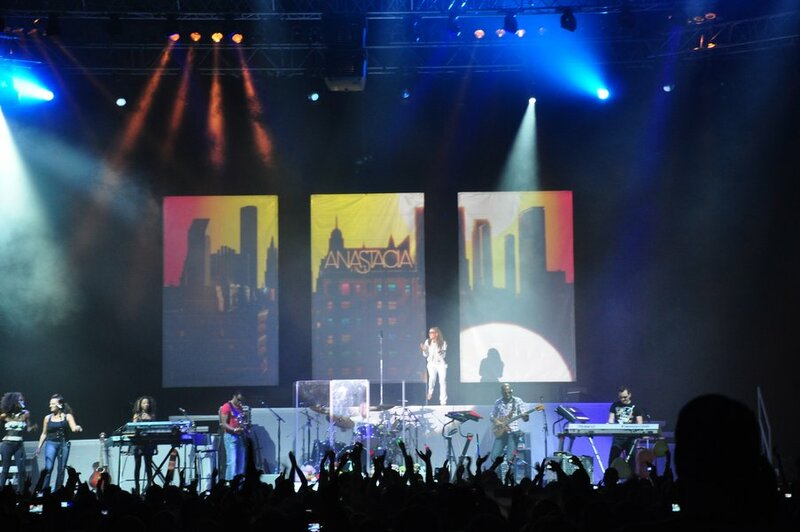 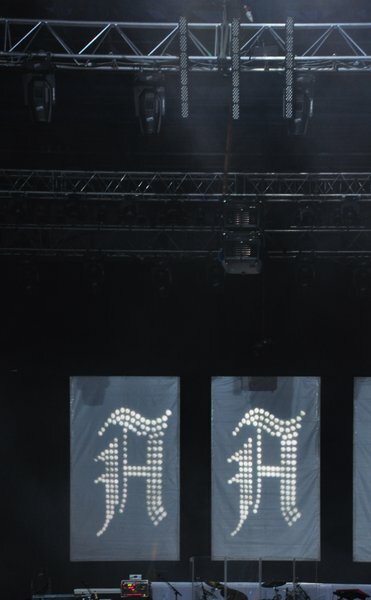 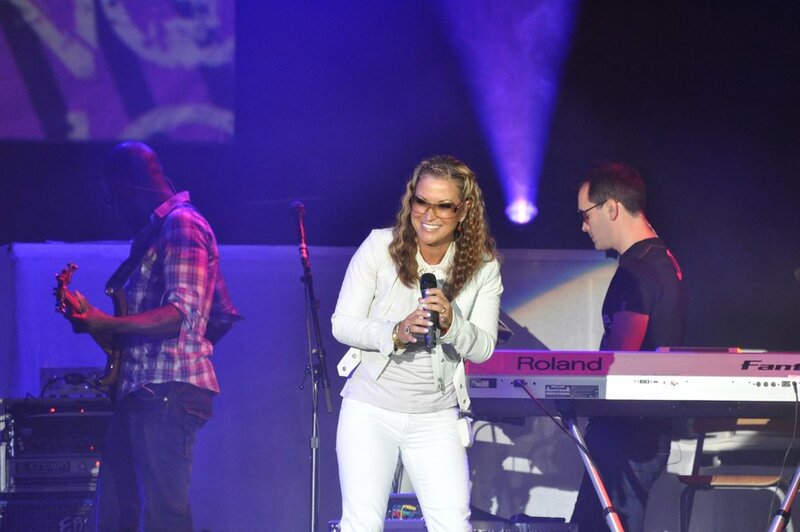 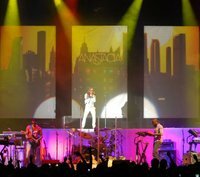 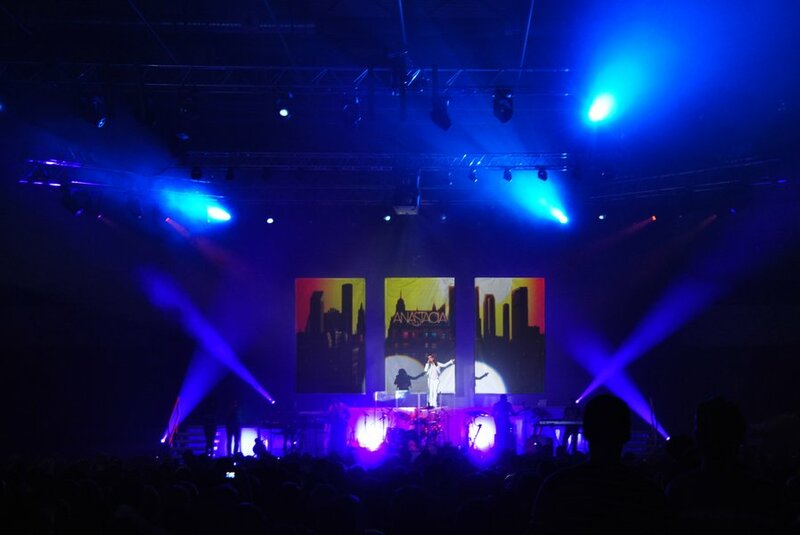 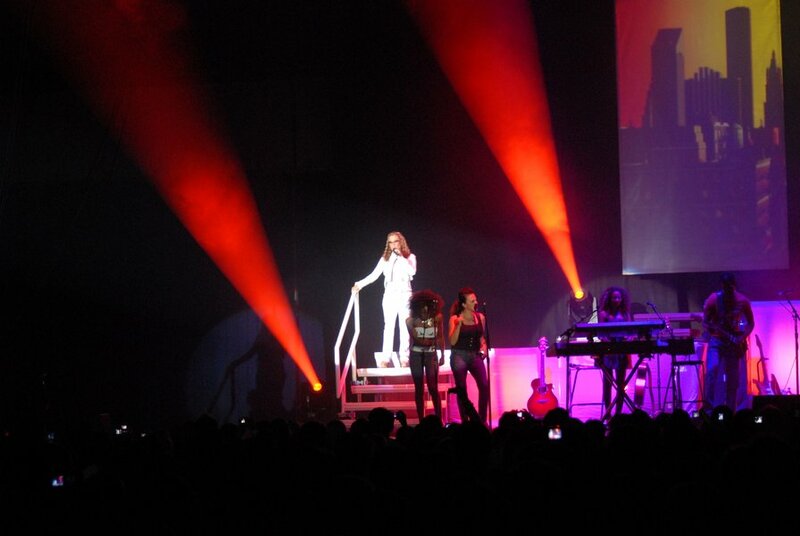 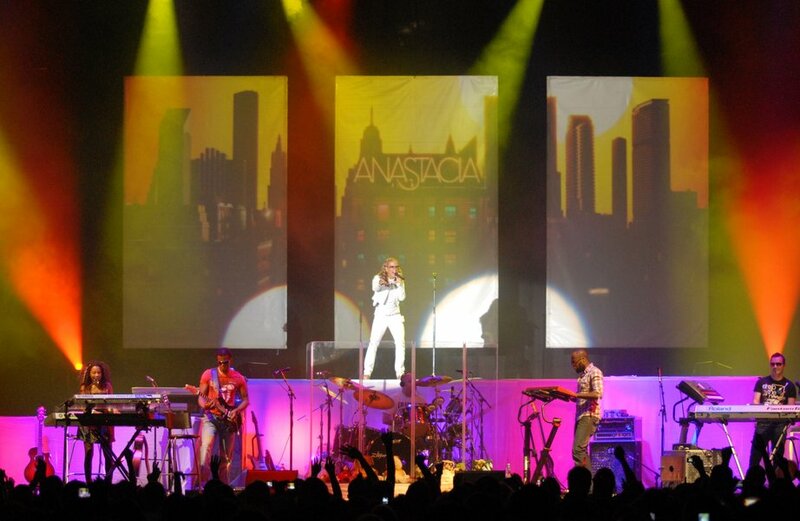 Anastacia during her European tour, Heavy Rotation Tour 2009, in which bypass the 35 cities in Europe also came to the capital city of Slovakia Bratislava. 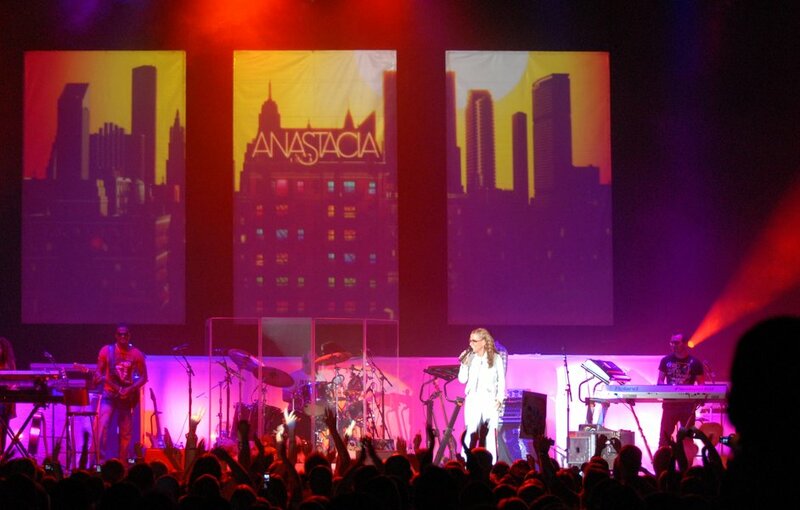 The Sibamac Arena sang along with Anastacia her most famous hits as Sick and Tired, Paid My Dues, Cowboys and Kisses, Left Outside Alon, and I Belong To You. 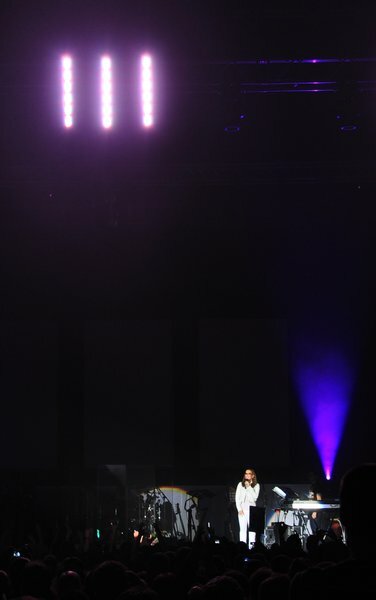 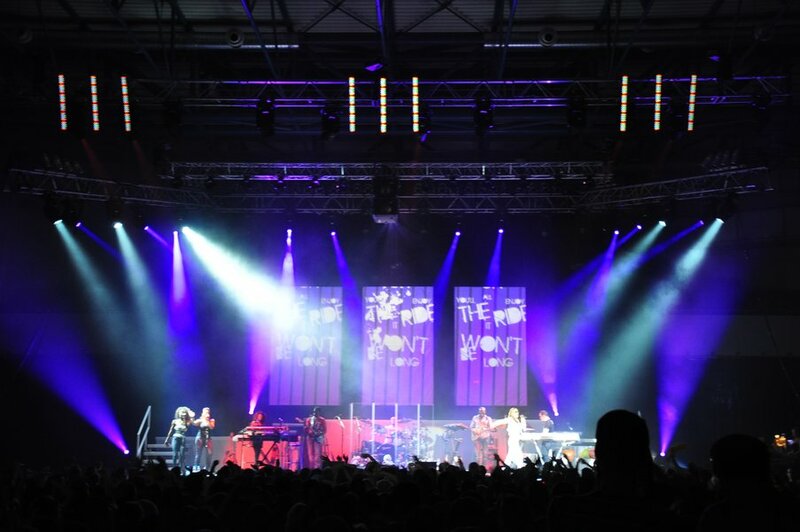 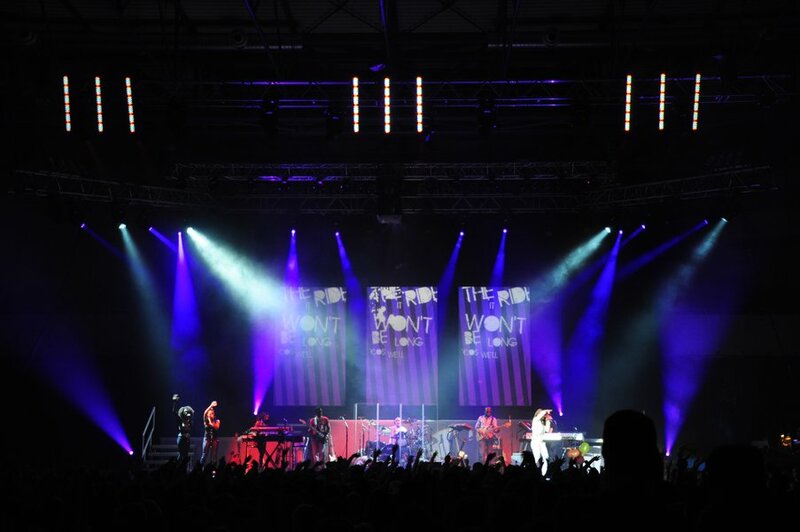 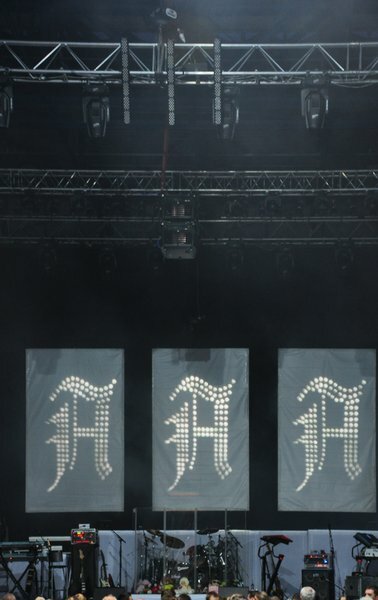 Amazing performance of Anastacia and accompanying group mold excellent sound and lighting equipment, were the part of it was also special Leader Light LL LED Z-POWER WASH RGBAW Vario Optic luminaires. 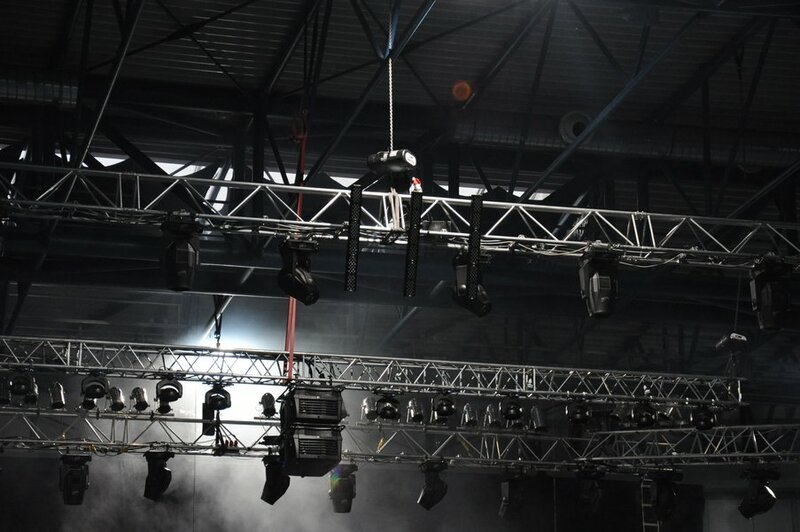 It is a powerful LED system ideal for washing large areas with a discotheques, television studios and concert halls as well. 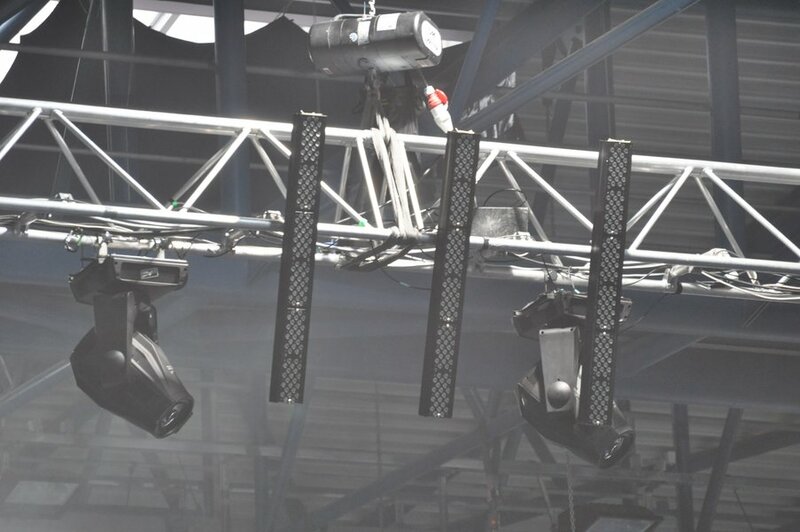 Luminary This provides dynamic colour changes of full colour spectrum and a wide palette of natural white light with continuously variable intensity and the rare optic generates perfect shaped light ideal for obscure area floodlighting and wall washing. 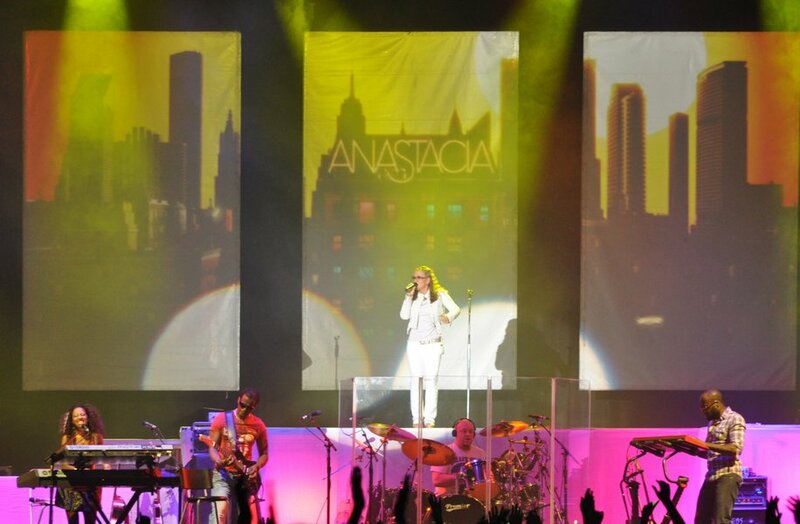 Enormously and spectacular final applause was a big thanks to Anastacia herself, the whole band and to the wonderful presentation of the show as well.